The composition of portfolios is one of the most fundamental and important methods in financial engineering, used to control the risk of investments. This book provides a comprehensive overview of statistical inference for portfolios and their various applications. A variety of asset processes are introduced, including non-Gaussian stationary processes, nonlinear processes, non-stationary processes, and the book provides a framework for statistical inference using local asymptotic normality (LAN). The approach is generalized for portfolio estimation, so that many important problems can be covered. This book can primarily be used as a reference by researchers from statistics, mathematics, finance, econometrics, and genomics. It can also be used as a textbook by senior undergraduate and graduate students in these fields. Masanobu Taniguchi is a research professor in the Department of Applied Mathematics at Waseda University, Japan. Hiroshi Shiraishi is a lecturer in the Laboratory of Mathematics, Jikei University School of Medicine, Japan. Junichi Hirukawa is an associate professor in the Faculty of Science at Niigata University, Japan. Hiroko Solvang Kato is a researcher and project leader in the Department of Genetics, Institute for Cancer Research, Oslo University Hospital, Norway. "Statistical Portfolio Estimation by Taniguchi et al. is an impressive treatise on the recent developments of modern finance and statistics. This book offers a number of distinctive features, which are difficult to find in other sources. 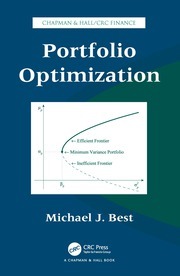 The book begins with the standard mean-variance analysis of Markowitz portfolio theory. As indicated by the authors, such standard theory is hardly optimal, however. The authors then argued that optimal theory can be built based on the highly sophisticated LAN theory developed by LeCam back in the 50’s. 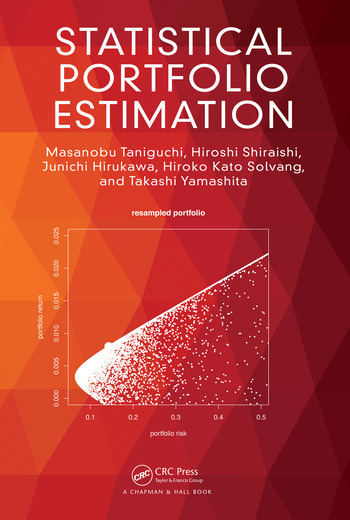 This is the first book makes use of LAN in portfolio estimation and the authors did a superb job in explaining and motivating these important results. 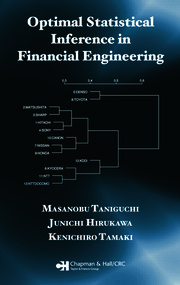 The second feature of the book is about multi-period investment, where multiple time series method and rank-based semiparametric theory are nicely garnered into the discussions. The third important feature of this book is its examples. The book contains illustrative examples ranging from traditional financial returns, insurance modelling, to the more recent topics such as VaR, CVaR, ES, and TCE. Further, the book also collects an extensive collection of examples about spectral envelope procedures and their applications to genome and medical sciences. Statistical Portfolio Estimation is an excellent resource for researchers of all levels, from undergraduate students to researchers and practitioners already working in finance who want to acquire a deeper understanding of statistical finance. It will be a valuable addition to the literature for years to come." "The problem of portfolio estimation has had a very large growth since the pioneering work of Markowitz and others in the 1950s. The present book by Taniguchi et al presents an up-to-date survey of these developments. It contains results and methodology that have not been easily available in book­ form before. The results are stated with rigour using precise mathematical assumptions. 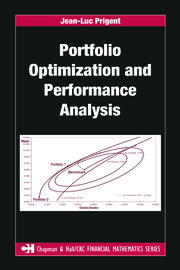 It also has a coverage of topics not usually included in portfolio estimation. In particular, there is a chapter running to almost 100 pages on portfolio estimation based on rank methods, where the authors dispense with distributional assumptions. Among other topics covered is the multi-period problem of portfolio analysis. Some of the more advanced mathematical and statistical tools are covered in a final chapter on theoretical foundations. The quite sophisticated mathematical level is balanced by a chapter containing a variety of applications. The examples are not restricted to finance, but covering topics such as pension investments, micro arrays, spectral estimation of categorical time series and physiological examples. This mix of precise mathematical theory and very diverse applications, means that the book should appeal to theoretical as well as applied workers in the field. It can be highly recommended."